True Wild Life | Dormouse | The dormouse is a small mouse-like rodent predominantly found in Europe. There are 29 different species of dormouse found today, which are most well-known for their long periods of hibernation throughout the cooler winter months. 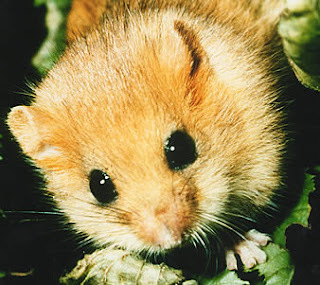 Although the dormouse is mainly found inhabiting areas of dense forest and woodland across Europe, a number of dormouse species also extended their range into the warmer Asian and African continents, where they can be found nesting and foraging in the thick undergrowth, out of sight from predators. The dormouse, although a generally small rodent species, can grow up to 20 centimetres long depending on the dormouse species. The small body size of the dormouse, allows it to move through the vegetation without being so easily detected. 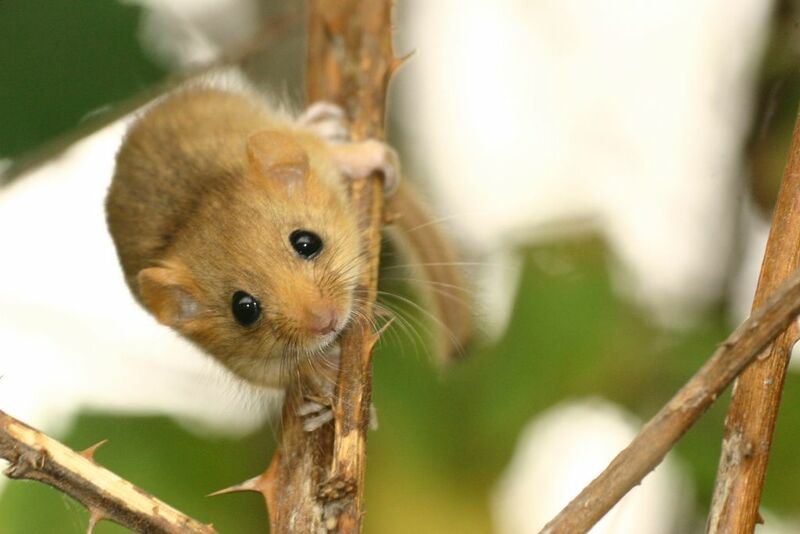 Most dormouse species are very agile and well-adapted to climbing and life in the trees. Dormouse are known to communicate between one another using noises which other dormice pick up using their very sensitive hearing. 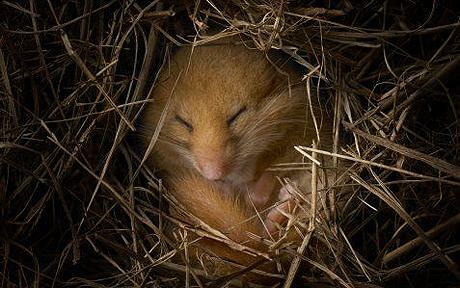 Many species of dormouse are also nocturnal although not all. The dormouse is an omnivorous animal meaning that it hunts and feeds on a variety of both plants and other animals. 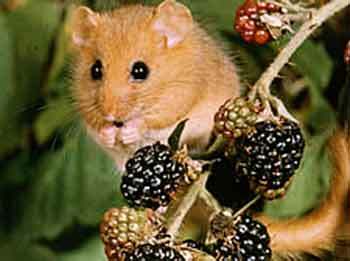 Fruits, nuts, insects, seeds, berries and flowers are the primary sources of food for the dormouse, although the exact diet of the dormouse depends on the species and the area which it inhabits. Due to their relatively small size, the dormouse is preyed upon by numerous predators in it's woodland habitat. 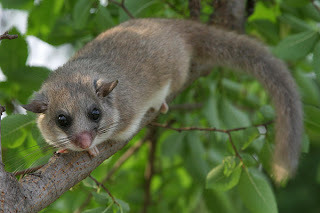 Birds such as owls, falcons and small eagles prey on the dormouse from high in the sky, while mammals such as foxes, cats, stoats and weasels hunt the dormouse on ground level. Once emerged from hibernation in late spring, dormice begin to breed. Female dormice can have more than one litter a year, which generally contains 3 - 5 offspring. Dormouse babies are born after a gestation period of about a month, with no hair and do not open their eyes until they are 2 or 3 weeks old. As with other small rodents, dormice are able to get to five years old, although many are eaten when they are much younger. Today, although the dormouse is not considered to be a vulnerable or endangered species, concerns have been raised over declining dormouse numbers in parts of Europe, particularly the UK, where habitat loss is thought to be the main factor for the demise in dormouse population numbers.